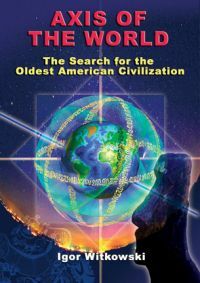 This Ebook tackles one of the most interesting and persistent mysteries pondered by mankind—the very question of our own roots. Witkowski mounts a painstaking search for answers, and compiles an astonishing array of evidence that points to only one conclusion: in the very deep mists of the past, there existed a highly-advanced civilization that was able to exert its influence on a worldwide scale, and did so in a purposeful way. These beneficent bringers of knowledge are described in almost every indigenous culture, and the similarities in the accounts cannot be reasonably overlooked. But Witkowski’s conclusions are not based on myth and legend. He brings a multi-disciplinary approach to the problem, comparing archeological discoveries, ethnological relations, historical documents, linguistics and even the achievements of genetic research. A native of Poland, he accesses many sources not normally cited in American studies, and shows that many “academic truths” still being promulgated simply do not make sense in light of the evidence. You will be amazed as he traces the spread of this civilization from the Indus Valley, across the Pacific to South America. There stand the culture’s crowning achievements, at Tiahauanaco in Bolivia and on Easter Island off Chile. Taken together, the facts presented by Witkowski provide a fresh, new proof that an antediluvian great civilization flourished many millennia ago. 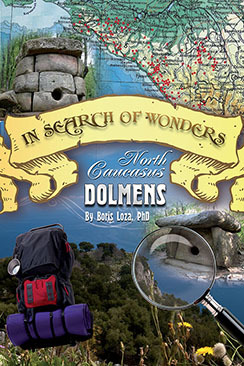 Chapters include: The Real Mystery of Easter Island; Professor Szalek’s Breaking Discoveries; Hypothesis—Could There be a Lost Land in the Pacific? ; The Mysterious Origin of the American Indians; The Chain of Traces; The City that Breaks All the Rules; more. Plus a 16-page color section.